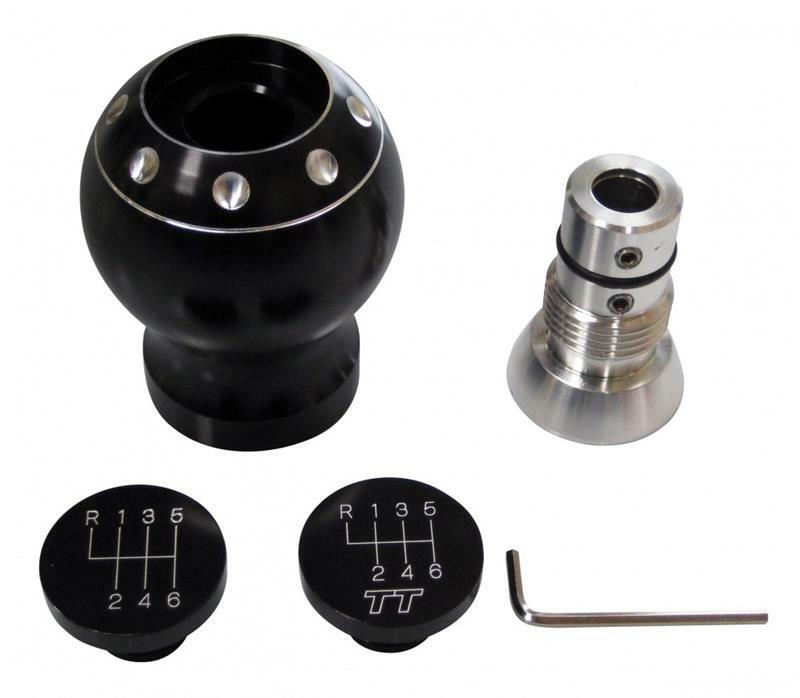 Forge Motorsport Big Gear Knob - Pann Auto Performance - San Diego largest aftermarket automotive performance parts - What do you drive? To impress your friends or for your own ultimate experience in pleasure, we can now offer the “Big Knob”. The two piece design allows fitment across the Audi, SEAT, Skoda, VW range and we belive that it will also fit most vehicles with a gear lever shaft diameter up to 12.25mm. It does not matter, with this unique design, if your existing gear knob is secured by a screw thread or clip type fasteners. This product is available in either a polished alloy, anodised black or the TT semi matt silver finish. There is a choice of 5 or 6 speed inserts to suit your gearbob and for Audi TT owners we can offer the TT logo on the insert.